When traipsing through the underbrush, hiking or hunting in the wilderness, you never know when a snake may strike. There is but one piece of equipment that can protect your feet and legs from the dangers of a hidden serpent. Not only Snake proof boots protect your feet from rough terrain and slippery rocks, you get the best safeguard from poisonous snake bites. 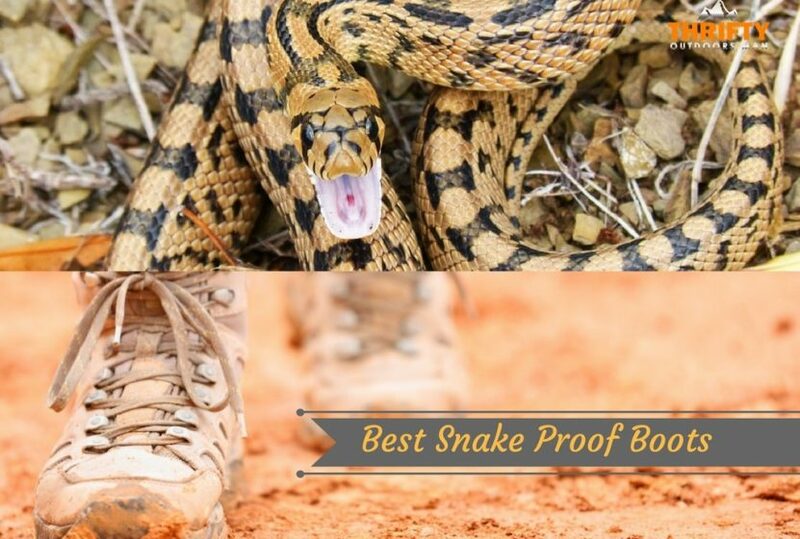 Below is a summary of the best snake proof boots for hiking, hunting or just spending time outdoors. What Does “Snake Proof” Really Mean? Wherever you travel in the world, there is at least one poisonous snake specie in the area (unless you are in Antarctica). Therefore, you really need to take special precautions when walking around outdoors. 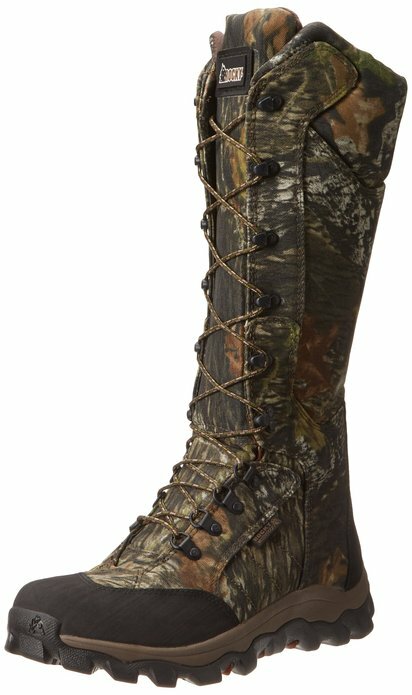 Snake proof boots have a unique design that prevents the snake’s fangs from puncturing your flesh when they bite down. The fangs hit the boot but cannot sink in. You will notice that snake proof boots often go up the knee, shielding the region that most commonly gets bitten. When you begin your search, you will no doubt come across a splendid array of boots. Not all of them are created equal, though. Pay attention to the following factors to make sure you are making a sound investment. There is a variety of materials that are impenetrable. Most snakeproof hunting boots have a combination of materials to achieve 100% protection. You will commonly see the following used to make the boots: leather, nylon, denim, Kevlar, and synthetic fabrics or fibers. You want at a high shaft boot. This will protect your feet, ankles, and calves from potential danger. 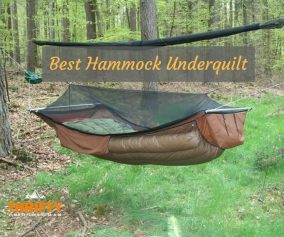 The most popular designs usually have a shaft that is about 16 inches in length. Ideally, you want up to the bottom of your knee covered. Sure, the boots might look nice, but can you walk in them? A flexible boot that lets you move with your quarry is important. Look for a model that has contouring to decrease rigidity, zipper enclosures or laces. Remember that, with slip-ons, there is a chance they could fall off when you step into mud or get tangled up in shrubbery. A lot of people are deterred from purchasing a pair of snake proof hunting boots because of price tag shock. Take a moment to consider this: the cost of a single vial of antivenin for a snake bite is currently around $14,000. To treat a snake bite goes behind the extraction. If you do not treat the wound before arriving at the hospital, you may even lose that limb. In the end, you may have a bill that goes well beyond $100,000! Do yourself a favor. Save yourself the hospital visit and having to (maybe literally) pay with an arm or leg. Get a pair of snake proof boots. All boots have their pros and cons, but these examples provide essential protection with some added features. Always choose what suits your needs most completely. Rubber boots are some of the best for keeping snake bites at bay. These boots are pull on (reminiscent of cowboy boots) but have a rear cinch gusset to customize the fit. 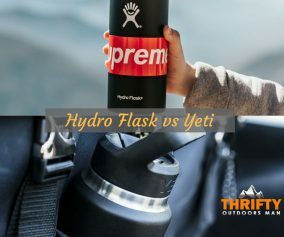 Since there are no spaces in the boot’s design to make them permeable, you can expect them to hold up well in marsh and swampland, as well as in shallow streams. The toe is reinforced double layers for resilience. Interior material has scent suppression. The camouflaging is also top-notch. One of the toughest snake boots ever to be constructed. The material is made up of 1000-denier nylon uppers and Snake Guard protection panels out of leather. The waterproof protection keeps your feet dry, even when wading through marshland. Inside, the boot has Hyper-Dri lining to keep your feet cool. With the 18” high shaft, scent-free and odor-fighting treatment, and durable construction, LaCrosse delivers a truly quality item. Should ladies wish to purchase this boot, they are encouraged to buy 2 sizes smaller than their regular size. The pull-on styling may be a turn away, but give these boots a look. These boots are designed to fit snuggly, especially through the topline gusset. Due to the lack of zippers and laces, these boots are highly waterproof and ideal for standing in low streams for fishing. The shaft measures 17” from the arch, covering up to the knee. The breathable materials (80% Cordura, 20% Leather) also add flexibility to the boot. One thing to keep in mind is that these boots have a lot of insulation, so those in hotter climates may want to reconsider. 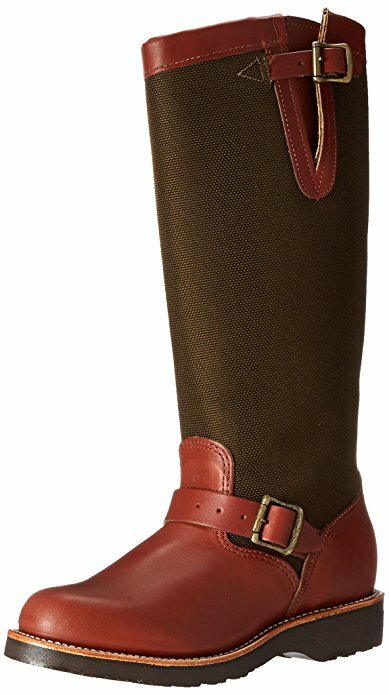 This women’s pull on boot is similar to the male version found later in this list but comprised almost completely of leather. The 15” shaft is ideal for women of smaller stature. The elasticized goring at the top of the boot makes slipping on easier, and the buckle straps are both stylish and functional. These boots have Vibram Brown Robinson outsoles and Texon Flexwelt insoles for both durability and comfort. Lace up boots provide extra customization for getting the perfect, most comfortable fit. The 16” shaft is comprised of Condura fabric then covered in MOBU camo print. The rubber sole and nylon body make the boot great for all conditions, including marshland. 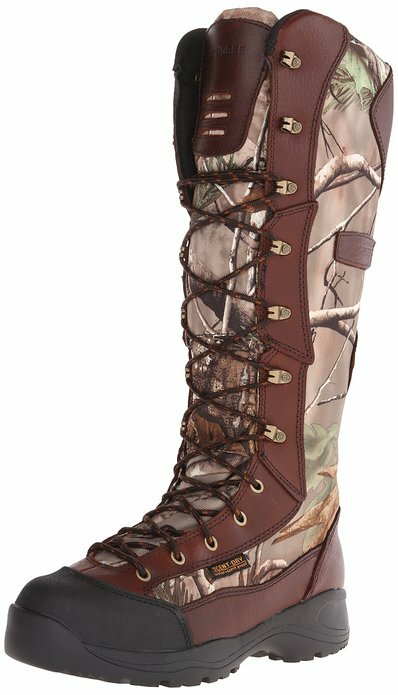 Waterproof material like Gore-tex, as well as Polartec and Thinsulate aid with making the Lynx Snake Hunting Boot wearable in all temperatures. 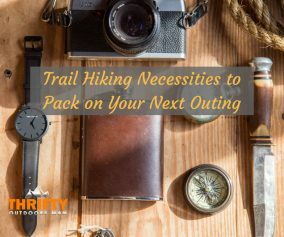 Now that you know what to look for when purchasing a snake proof hiking or hunting boot and some recommended brands and styles on the market, hopefully you can make an educated decision. 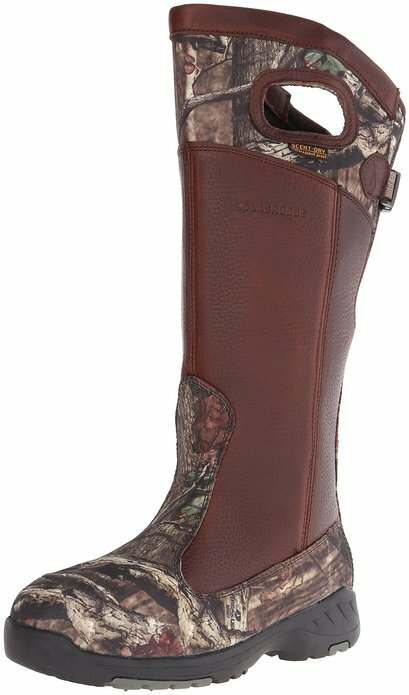 Choose the best snake proof boot that matches the location you hike or hunt the most. Factor in climate, comfort, construction materials, and the coverage the boots provide. Tread carefully, and have fun outdoors! Interesting article. 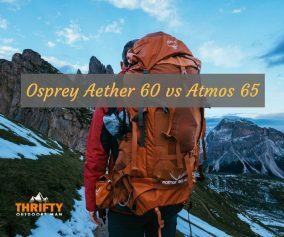 I definitely agree on the better safe than sorry aspect of it, do you find that one particular brand tends to consistently score better than the others or is this something that varies a lot from year to year? I know Rocky has had some trouble recently, even that NBC news story on them recalling some boots, but it is hard to keep track of who is doing well and who is trying to get away with cheaper products. Any advice on this? Also, any idea how these are tested? I’ve seen some rattlesnake videos but I didn’t know if these were limited to U.S. snakes, snakes in North America, or if they tested them on others, as well. Thanks for the great article, looking forward to reading more!